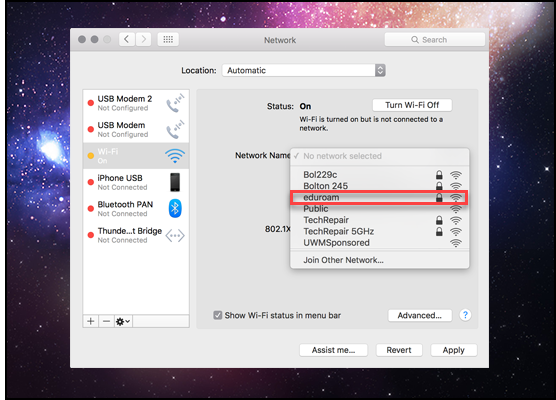 This document explains how to connect to eduroam in OSX. 3. 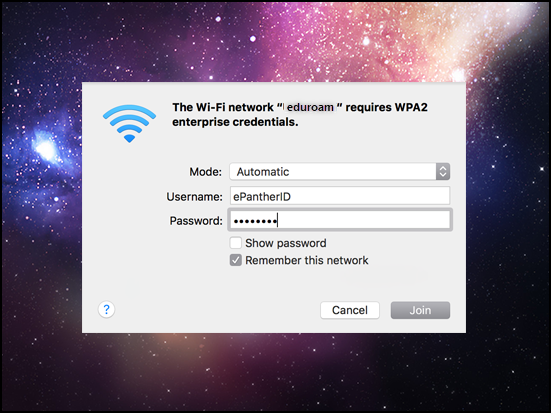 In the drop down menu titled Network Name select eduroam. 4. 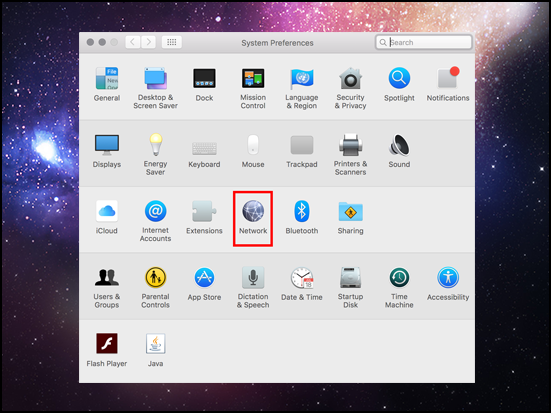 Enter your ePantherID information and click Join. 5. Congrats! You're now connected to eduroam.